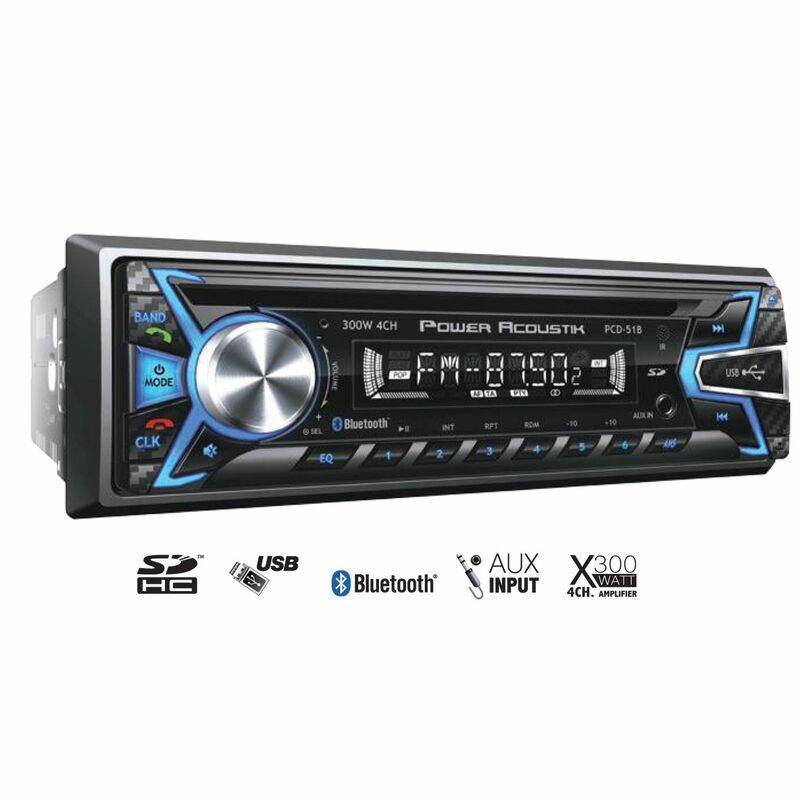 POWER ACOUSTIK - 1 DIN CD/MP3 (4 CHANNEL) 300 WATT BLUETOOTH DIGITAL AM/FM RECEIVER WITH DETACHABLE FACE, SD & USB PLAYBACK. FEATURES PLAYBACK FROM 32GB USB OF MP3 & WMA, PLAYBACK FROM CD, CDR, CDRW OF MP3 & WMA. 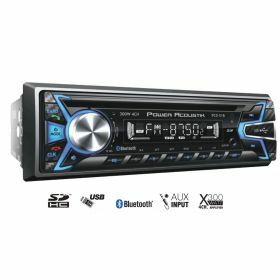 AUX AUDIO INPUT FOR LISTENING TO PERSONAL MEDIA DEVICES, FRONT & REAR PRE-AMP OUTPUT, CUSTOM & PRESET EQUALIZER SETTINGS, 12/24 HOUR DIGITAL CLOCK & FACEPLATE CARRY CASE INCLUDED.